Born: 7 December 1854, Sheffield, United Kingdom. Died: 30 January 1934, Cape Town, South Africa. 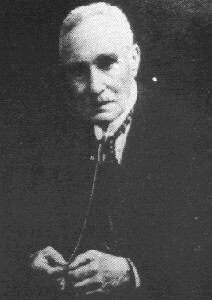 William Darley-Hartley, physician and pioneer medical editor, was the son of William Hartley; hence until the 1890s his name is sometimes given as Hartley, William Darley. He studied medicine at Guy's Hospital in London, qualifying as a member of the Royal College of Surgeons (MRCS) of England in 1878. In April of that year he came to South Africa as surgeon of the Station Hospital in East London. Later that year he served in the Ninth Frontier War as surgeon-captain to the Cape Mounted Rifles, and in January the next year was in Natal with the 24th Regiment (the South Wales Borderers), serving in the Anglo-Zulu War. After suffering sunstroke he was invalided to England, where he qualified within a few months as a licentiate of the Royal College of Physicians (LRCP) of Edinburgh and as a licentiate in Midwifery. Returning to South Africa he was licensed to practice in the Cape Colony on 30 September 1879. He developed a practice in East London, serving also as medical officer to the Eastern System of the Cape Government Railways, and as medical officer of health for the town. An economic depression in the Eastern Cape made him move to Cathcart in 1885, where he was district surgeon and surgeon to the Cape Mounted Rifles. He returned to East London in 1888, retrieved his former appointments, and in addition became obstetrician and physician to the Frere Hospital. In January 1884 Darley-Hartley started a monthly South African Medical Journal as a private venture, editing it in East London and from Cathcart until it failed at the end of 1889. In addition to writing an editorial and reporting news items of medical interest in each issue, he contributed various other papers. These included a detailed report on the Frere Hospital in the first issue (19 January 1884), and several later articles on obstetric medicine. After some time the journal appeared only quarterly, but from 1886 was published weekly. As a one-person venture, lacking proper institutional support, it was a pioneering achievement. In October 1886 Darley-Hartley was one of the founders of the Frontier Medical Association, and was elected as its first secretary and treasurer. He played an active part in the association's activities during its brief lifetime of about two years. Its proceedings, with those of other local medical societies, were regularly reported on in his South African Medical Journal. Later he was the first editor of the second South African Medical Journal, established in 1894, for a period of two years. He was elected a member of the British Medical Association in 1895. In 1898 Darley-Hartley visited England and qualified as Doctor of Medicine (MD) at Durham and as a member of the Royal College of Physicians of London. He then settled permanently in Cape Town, where he set up a practice. During the Anglo-Boer War (1899-1902) he served as civil surgeon at the Woodstock Hospital, receiving both the King's and Queen's medals, and acted as medical correspondent in South Africa for the British Medical Journal. In 1903 he undertook a second major venture into medical editing by founding the South African Medical Record, a natural successor to the (second) South African Medical Journal of the 1890s. It started out as a monthly journal, but later appeared fortnightly. The amount of work involved caused him to give up consulting work by about 1906. None the less he contributed several original papers to it, including "Remarkable instance of Kaffir surgery", and "Incipient insanity, illustrated by military practice" (both 1903/4, Vol. 1); "Clinical and pathological notes on two epidemics of enteric fever" (1904, Vol. 2, p. 26-); "Case taking in general practice" (1905, Vol. 3, p. 51-); and "The mineral waters of Caledon" (1907, Vol. 7, p. 73-). He edited the Record for 23 years, until it merged with the Medical Journal of South Africa to form the Journal of the Medical Association of South Africa in 1927. He edited the latter jointly with Dr C.L. Leipoldt* for a year, after which he ended his editorial career and the publication was renamed the South African Medical Journal (3rd series). Darley-Harley was involved in various other activities. He was a member of the Colonial Medical Council from 1904 until it was dissolved in 1928, serving as president during the last two years. In 1930 he received the first gold medal of the Medical Association of South Africa (British Medical Association) for distinguished services to the profession. Being in sympathy with the imperialist Cecil J. Rhodes, he founded the South African League in 1896 and became its first president. The league supported British supremacy in South Africa. As a keen freemason he edited South Africa's first masonic journal, The South African Freemason. He was also active in the Anglican church as a lay preacher and lay member of Synod, a keen church historian, and a classical scholar. Journal of the Medical Association of South Africa, January-December 1927. List of licensed medical practitioners in the Cape Colony, corrected up to 31 December 1884. Cape of Good Hope Government Gazette, 9 January 1885, pp. 41-45. Medical, Dental and Pharmacy Directory of South Africa, 1926/7. Pietermaritzburg: Natal Witness, 1927. Obituary: William Darley-Hartley. British Medical Journal, 17 March 1934, pp. 510-511. South African Medical Journal (1st series), 1884-1889, Vol. 1-5. South African Medical Record, 1903-1907, Vol. 1-7.